There’s a lot to consider when it comes to capturing those perfect moments of your wedding day. 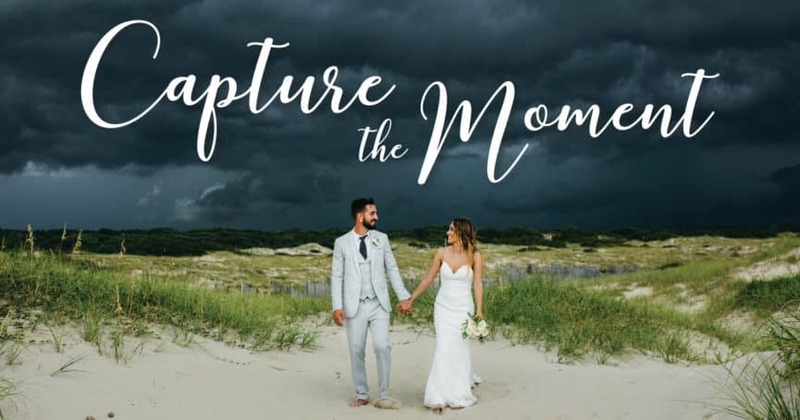 From deciding whether you want to scrap tradition and go with those intimate “First Look” photos before the wedding, to shooting the last dance, you want stunning photographs that will evoke those happy memories every time you take out the wedding album. The photographs will bring your beautiful story to life again and again – not just for you, but also for your children and grandchildren. The bride and groom also have a big decision to make when it comes to choosing the right photographer and videographer who will be charged with capturing all those precious moments that make up your wedding day – from the moment you walk down the aisle to the last dance. Doing your homework when it comes to wedding day photography is an investment you’ll thank yourself for every time you pull out those albums. videographer will be the perfect match for you on your wedding day. Before you decide on anything, it helps to determine what style you are looking for when it comes to photographing your wedding day. Consider the important shots you want taken on your special day, write them down and then do some research. There are a number of popular styles of wedding photography out there, so read the list below to get started. Remember to ask around for recommendations, check out websites, blogs and ask to see samples of work. Be sure to set up meetings and talk to photographers about their forte and comfort zone regarding style or combination of styles and, of course, consider the popular trends in photography as we’ve detailed below. There’s no wrong decision when it comes to whether you will have these photos as part of your wedding day shoot. Some couples love to share some tender moments together before that big walk down the aisle. They say it helps to relax and connect before the ceremony, not to mention get some warm photographs of the two of you. On the other had, some couples opt to stick with tradition and treasure that moment when they first see each other at the ceremony. Consider what is best for you. After all, it’s your special day! If you are looking for traditional portraits, seek out a photographer who specializes in them. A portrait photographer will arrange for shots of the wedding couple, family, friends and the wedding party. 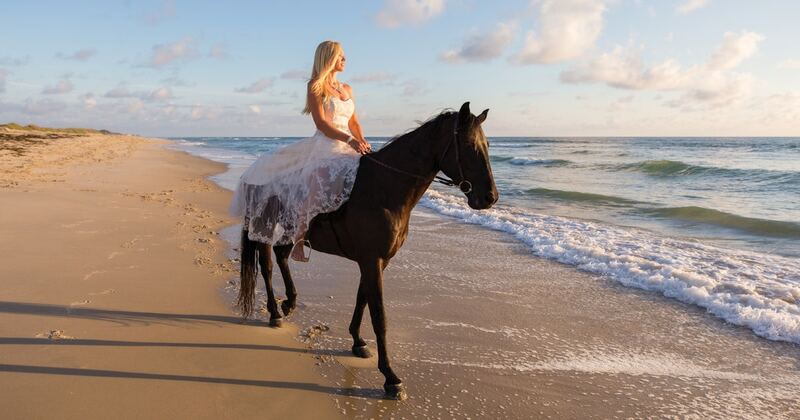 Photographers may shoot portraits in the studio or in more creative locales such as the sand dunes, on the beach, or beside piers. This type of photography specializes in candid or spontaneous photographs as opposed to posed portraits. If you are looking for photos that capture the moment and tell a story, this may be the style for you. With documentary photography, you will see fewer photos of people who are lined up and smiling into the camera. These photographers will capture more fluid and spontaneous images of the entire event, and in the end, you will have your wedding story in photos. This style allows the photographers to put their own creative touch into the photographic process. Photographers can make photos appear dramatic, old fashioned, or soft and dreamy. They can choose which part of the composition to blur, sending the focus to artistic imagery and actions. Think elegant photos of the wedding dress, last minute shots as the bride gets ready and candid moments with the bridesmaids. Some photographers opt to shoot both digitally and with film so that they have wider latitude in choosing styles and effects. If you want journalistic or artistic photography plus portraiture, check to make sure your photographer is willing to do different styles. Some don’t. One way to get a good sense of a photographer’s style is to look through his or her portfolio. You want your family to savor these memories for generations, so be sure to communicate your desires to the photographer. There is a lot more that goes into hiring a photographer than what shots he or she will take on the wedding day. If you follow some simple guidelines, you can make the hiring process easier and lessen the possibility of undesirable surprises. During the interview, be sure to ask the photographer what packages are available and whether you can customize a package based on your preferences. The photographer should also let you know what album designs are offered and whether he or she will help create an album. Policies on features such as retouching and color adjustment are also important details to hammer out before a contract is signed. It is important to get answers such as whether the proofs will be retouched or if that happens only after the photos are selected. You should know before you hire a photographer whether there is an additional cost for retouching. Find out how many images you will get back and whether they will be high-resolution or low-resolution. Inquire if you will be able to reprint photos or if the photographer retains the rights to the images and negatives. The cost of the package and what services are covered is essential information. Ask about reprints, mini-albums, wall portraits, printing on canvas, frames, and which of those items are considered add-ons. And don’t ever be pressured to commit to a package on the spot. Know the timeline for when you will receive the proofs and inquire about whether you will be able to view them online or if you will get them on a CD. Check what the ordering process is and how long it will take to receive your photos or album. It typically takes two to three weeks to get your wedding images back. Often, completed print orders can be provided within eight to ten weeks. It’s a good idea to ask whether the photographer will give you the negatives or digital images and if there is a fee involved. Another consideration in this age of social media is privacy. Some photographers will post wedding albums online so that your wedding guests can order their own prints, and as a way to show off their professional portfolio to future clients. If you are concerned about privacy, find out ahead of time who will be given passwords to your photo collection, how long they will be posted, and who determines which photos to post. Always insist on a written contract, know how much of a deposit is required, and inquire about possible payment plans if need be. Other need-to-know information includes the photographer’s refund/cancellation policy and whether they have liability insurance. A contract should include details of what services will be provided at what price, conflict resolution terms, overtime policies, etc. It is definitely time to walk away from the photographer who says that he or she doesn’t use contracts. You may be surprised to hear this, but the truth is that your photographer has to be someone you genuinely like. Remember, this person is going to be a significant part of your wedding day. If you find the photographer you are interviewing to be inflexible, pushy, abrasive, or just plain annoying, those sentiments will come across in the photos that are taken. 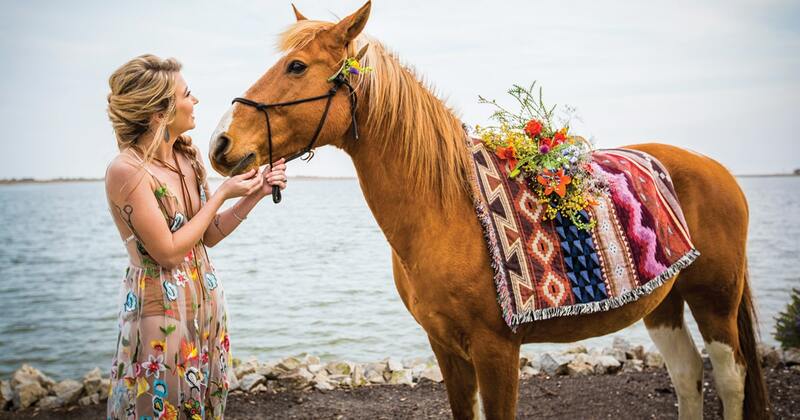 Weddings can be stressful enough, so you need to hold onto all the joy that comes with the big day. One tip: Imagine that your photographer is one of the guests at your wedding and be sure this person is someone you would be happy to have attending. A warning flag should go up if you are asking all the questions and the photographer is not asking you anything. Photographers should be interested in how you want your wedding day to go. They need to know important details such as how many people are in the wedding party, the lighting at the venue, whether there will be dancing, who your attendants are, and how long you anticipate each phase of your wedding to last. These questions show they are invested, sensitive to detail, and interested in getting the best shots. If they are not asking, it may be time to consider interviewing another photographer. Take away color, and you are left to completely focus on emotions, people and composition. Black and white photography will never be out of style. In fact, couples love it and enjoy mixing it in with color shots. Any color photo can be changed to black and white – or just portions of the photo can be colorized to make just the bride’s bouquet and the groom’s boutonnière pop out in a sea of gray, for example. Your photographer is the right person to ask if the image works well monochromatically or if it’s better in color. You can view it with just a click, thanks to digital photography. So if you are looking for drama, a vintage photo feel, or simply love the look, consider tried and true, black and white photos. Photo booths at weddings provide not only entertainment for your wedding guests but they also create an instant keepsake for them to take home. In addition to the photos that your guests will keep, today’s photo booths will automatically capture all of the day’s shots on a single DVD for the wedding couple to see and share later. Photo booth mementos make excellent gifts and are sure to be some of your favorite, unscripted sights from the wedding. 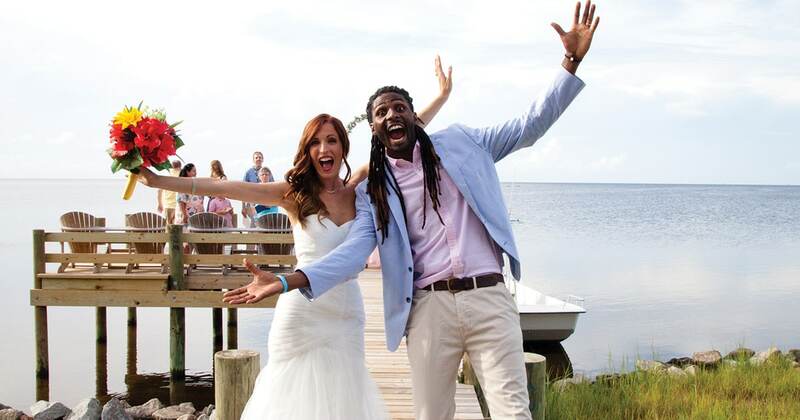 Don’t forget all the reasons you picked the Outer Banks as your venue in the first place – the majestic ocean, romantic beaches and beautiful sunrises and sunsets! 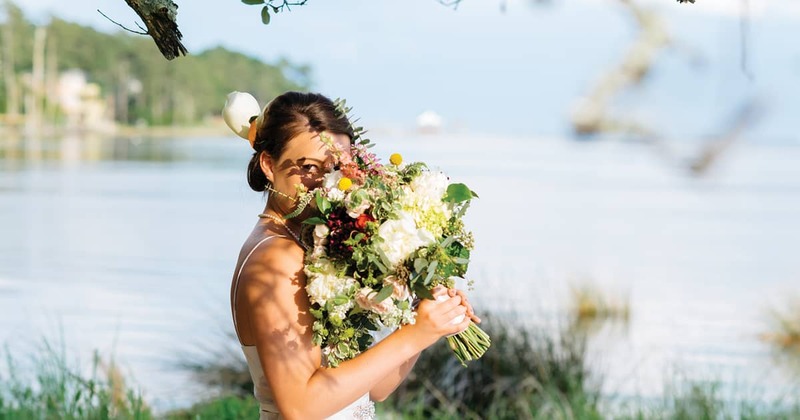 With this in mind, it is important to discuss details with your photographer about making the most of the natural environment on your wedding day. Remember that here on the Outer Banks, the sun rises over the ocean and sets on the sound. 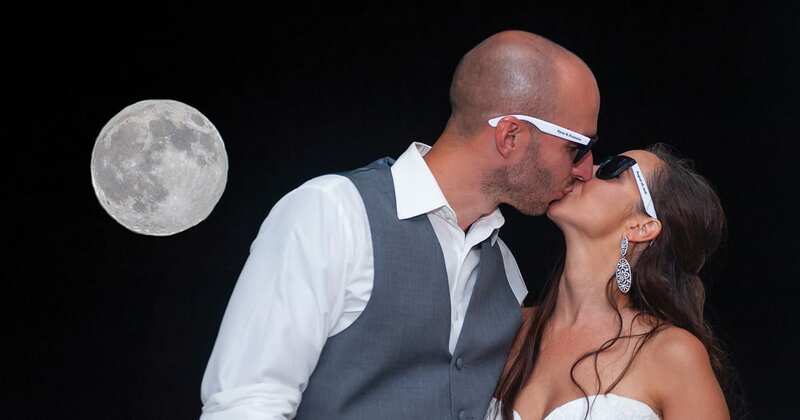 Time your wedding day and photographs accordingly if you are interested in sun-related shots. 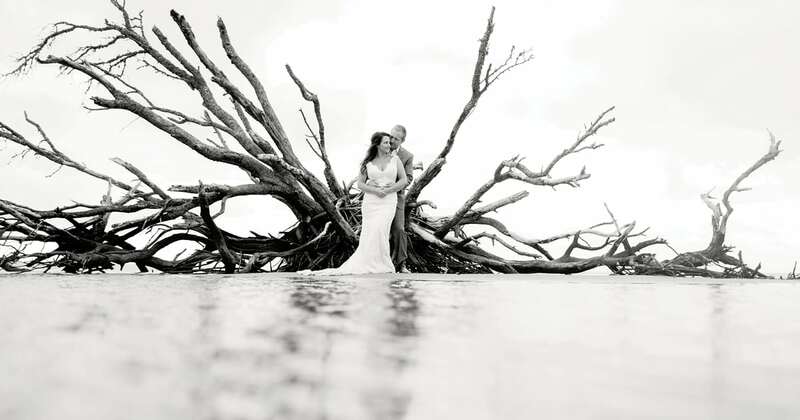 Ask about high and low tide on your wedding day and how that will affect your photos. Inquire about backup plans if the weather thwarts your desire for glorious outdoor photos. 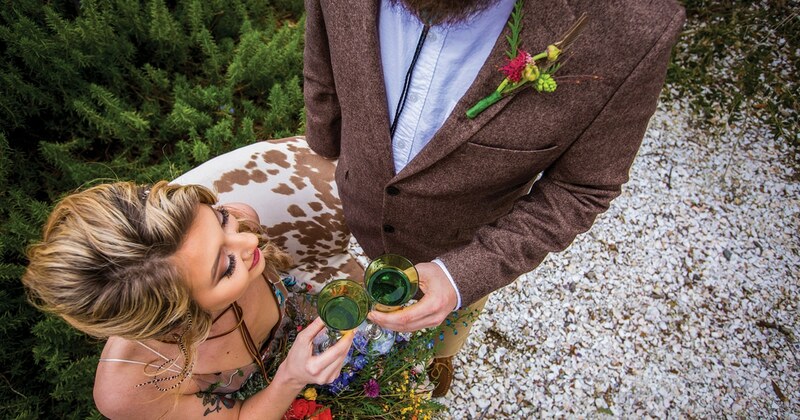 Drones are everywhere and weddings aren’t any exception. Drones are perfect at providing aerial views of your wedding venue as well as hard to get vantage points of your wedding ceremony. Just think – an overhead shot of your processional, the dance floor, the toast…the possibilities are truly endless. Intimate shots of the happy couple are very popular these days. A boudoir approach says: for your eyes only. Imagine tasteful forms shot through sheer curtains with available light – clad in delicate nightwear. An embrace, private kiss, or cozy couple in a soft bedroom chair can be romantic and make an awesome wedding gift to each other. A photographer at your wedding is really a no-brainer. But the videographer can be just as important. After all, photos can’t capture the sounds, movements, and all of the emotions that go into your wedding day. Videos can immortalize every word of your vows, every music note during the reception, and every smile during the toast. The most recent trend in videography is high-definition. In addition, new technology will allow you to add vintage-style scenes to your video. For example, a Super 8 effect, which gives the video a grainy feel, can allow you to enhance some classic shots. A videographer can improve color, contrast and volume after the film has been shot. Typically an amateur shooting a home video does not have the ability to meet all the challenges of videotaping a wedding. A bonus in hiring a professional videographer is that they have filmed dozens of weddings and can anticipate the crucial moments of the day. 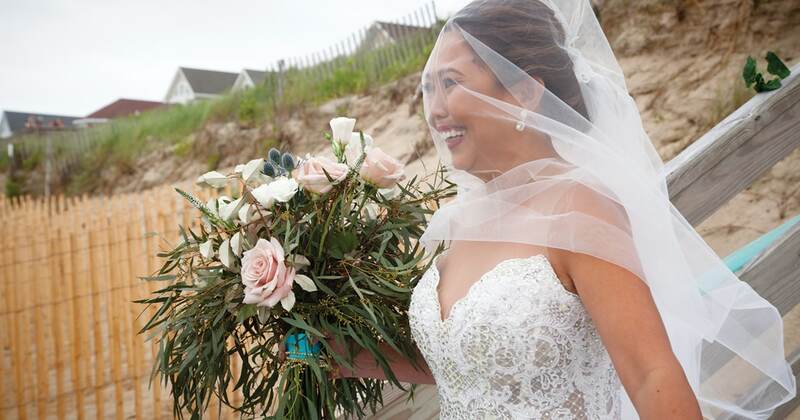 They also have the audio equipment to meet challenges in our unique environment, such as capturing the vows with the ocean roaring in the background or lighting contrasts between bright beaches and shaded piers. I like to make surprising portraits but the excitement, the nerves, the unexpected, the overwhelming joy, the nostalgia, the laughter and the tears … these are the moments that bring the most precious photos. Thiis blog was… how do I say it? Relevant!! Finally I have found something which helped me. It is very difficult to choose best photographer for your wedding as everyone want to get unique memory in the form of pictures to recall their D day in future. These tips really work for both wedding photographers and their customers. Nice shots, very lovely! Indeed, it’s quite a bit of challenge when choosing the right photographer for your wedding, as there are a lot of photography services nowadays to choose from. 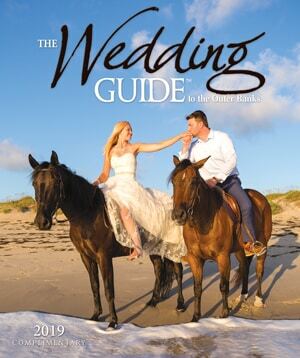 This article surely gives soon to be married couples guide to what factors should they look into when searching for a photographer. And I do agree, a videographer is as important as a photographer. I think photographer is the main, because he/she is the person who captured your beautiful moments and save for us for the rest of our life!